But to get where she wanted to go in teaching, she needed a teaching certification, and she didn’t have one. She put off going to college for years, thinking she was too old--that she wouldn’t be able to do it. Now she has an evangelical zeal about people beyond the “traditional” students’ age going back to school, even if they fear that they’ll be too rusty to pick up where they left off. “I want to tell everyone they can do it,” Loehr said. Once she jumped into the pool, she said, the water was warm. All her fears faded away and she loved it. “If there’s anything I got from this whole experience, it’s that it’s never too late,” she said. Germanna President David A. Sam likes to say that America’s reached a point at which lifetime learning is a necessity--that everyone is going to have to change jobs a number of times. That we will have to reinvent themselves. And that we all need to take classes to stay current in whatever our field is right now. She earned her associate’s degree at GCC and transferred to the University of Mary Washington, where she’s decided she wants a career in historic preservation. She has four children, all of whom attended Germanna. Her daughter Sarah Loehr entered GCC’s nursing program, then transferred to VCU to earn a financing degree and now is studying law. Her son Paul Loehr started at Longwood. “He joined a fraternity and things sort of went downhill. It wasn’t a good situation. My husband and I said, ‘You need to come home. He did and things went reaally well.” After getting back on course at Germanna, he transferred to VCU, where he was a business major and earned a degree in accounting. Her son Adam dropped out of high school, got his GED with Germanna’s help, then entered Germanna’s Automotive Program. “Adam has a wonderful job working as an automotive specialist in downtown Fredericksburg, “ she said. “Last year my baby, Matthew, my youngest child, was going to J. Sergeant Reynolds. He was unhappy. He came back home and went to Germanna, and I thought it was pretty funny that we took four classes together.” Matthew was 18 and his mother was 46. But no one’s laughing at this older, “non-traditional” student. Once you take that leap, she said, you can succeed. She said GCC saved her family a great deal of money in the education of her four children, too. She said her oldest daughter Sarah initially wanted to stay home and go to Germanna, but she pressured her to go elsewhere. Then Sarah ended up at GCC anyway, until she was ready to leave home. Now she’s at the Charlotte School of Law. 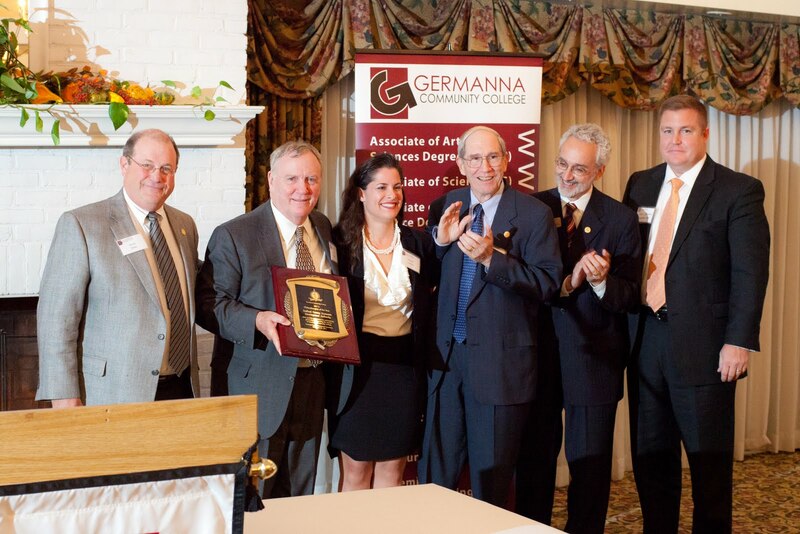 Don Newlin, chairman of the Stafford County Economic Development Authority, accepts Germanna's 2012 Philantrhopist of the Year Award on behalf of the EDA. The Germanna Community College Educational Foundation named the Stafford Economic Development Authority its 2012 Philanthropist of the Year at its Annual Dinner Friday night, Nov. 18, 2011 at the Fredericksburg Country Club. On May 5, 2011, The Stafford EDA awarded Germanna a matching challenge grant of up to $1 million to be used toward the establishment of a permanent campus in the county. Officials said the intent is to support workforce development and economic development in the county. When the challenge is met, the Stafford EDA will have donated $1.375 million to Germanna since 2009, when GCC opened its Stafford County Center at Aquia Park. In the first year the Stafford Center was open, it attracted 1,000 students, and in its second, 1,200. Enrollment has already outgrown the facility. The Stafford EDA has also donated $75,000 toward the construction of a new GCC Automotive Program facility in the county, which is expected to be completed in the spring of 2012. Germanna hopes to break ground on the Stafford Campus soon, but it must first meet the $2.5 million local funding requirement for the state to fund the rest of the cost for the facility's land and development. The Stafford EDA challenge was a major step. Plans are for the facility to be built in North Stafford, but no site has been selected. "On behalf of the Educational Foundation, it is an honor to recognize Stafford County's Economic Development Authority for its leadership and investment in Germanna,” said Michael A. Catell, Director of the GCC Educational Foundation. “The Foundation's mission is to promote and support the growth, progress, and well-being of the College, and we look forward to a continuing partnership with the EDA in carrying out that mission." GCC currently has a Fredericksburg Area Campus in Spotsylvania, a Locust Grove Campus, centers in Stafford and Culpeper. It has long-range plans for a center in Caroline County. Construction on a third academic building at the Fredericksburg Campus is expected to be completed by March 2012. "For me, it was a dream coming to America," says Germanna Community College student Hawraa Alabalali, whose mother married an American soldier before they immigrated to the U.S. from Iraq in 2008. She says GCC counselors and faculty are helping her toward her goal of becoming a dentist, and that the college's affordability makes paying for graduate school later feasible. "It felt good to be part of a community," she said about coming to Germanna. Making friends was easier, she said, than it had been in high school. 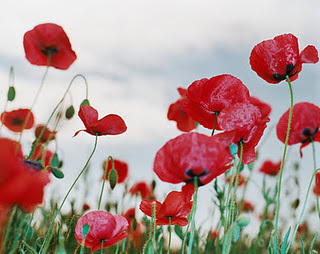 When I was young, I vividly remember my mother making a point to buy a poppy for each of us to wear on our clothing for “Remembrance Day,” as she still called November 11. We know it as Veterans’ Day, but she was born November 30, 1918, just nineteen days after the guns fell silent to end the War to End all Wars, and that is what the day was called when she was a child. She always reminded me of 11-11-11 because the Armistice took effect on November 11 at 11 am. Today is another 11-11-11. 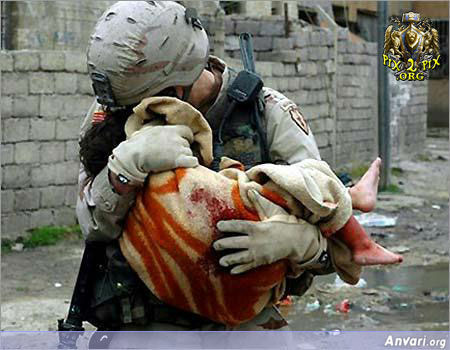 And, unhappily, many wars have followed. Today, at both Germanna Community College campuses, students, faculty, staff and community members read from the roll of those who have died in the current conflicts in Iraq and Afghanistan. 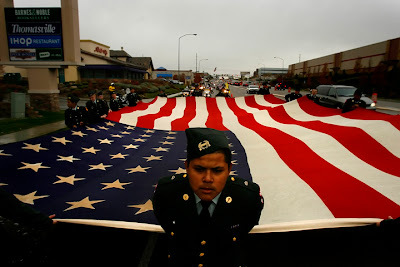 Today we also pause to thank our veterans and remember those not here to be thanked. It is the least we can do. or just feel a deep gratitude in our hearts for those who have answered the call and stood their ground so we can live without having to defend ourselves. Philanthropist Doris Buffett shares a laugh at the reception prior to a recent GCC Educational Foundation Annual Dinner. Buffett, a GCC supporter, is Warren's sister. You are cordially invited to attend the Germanna Community College Educational Foundation’s Annual Dinner on Friday, Nov. 18, 2011 at the Fredericksburg Country Club. This is not a fundraiser. Instead, it is a time when we celebrate philanthropy at Germanna, and show our appreciation to those who provide scholarship funds for our students and invest in faculty and staff professional development through programs like the Jane Ingalls Nurse Educator Fellowship and the President’s Leadership Academy. Foundation benefactors have also provided funding for the President’s Recognition of Excellence awards. One highlight of the evening will be the moving testimonials from three Germanna students who have received scholarships. The cost, including the reception and dinner, is $50 per person. Please join us as we celebrate philanthropy, the positive impact of the mission of GCC, and the vital role Germanna plays in the lives of those we serve. The Germanna Community College Center for Workforce & Community Education will host an Intelligence and Homeland Security Summit from 9 a.m. to noon on Dec. 1 at Fredericksburg Square. The conference will feature a panel discussion and breakout sessions by recently retired senior executives from the Central Intelligence Agency, National Security Agency, Secret Service, National Reconnaissance Office, National Geospatial Intelligence Agency and Defense Intelligence Agency. Learn about opportunities in homeland security and the intel community -- and how to pursue jobs effectively. Take advantage of the opportunity to network. Seats are $20 and they are limited. Call 540/891-3012. GCC students with student ID will be admitted free, but must make reservations. Fredericksburg Square is located at 525 Caroline St.
To volunteer to be a reader, please call Kathryn A. Denner at 540/423-9123 or email her at kdenner@germanna.edu. Members of the community are encouraged to join Germanna students, faculty and staff in a nationwide grass-roots effort to honor American service men and women who paid the ultimate sacrifice in Iraq and Afghanistan during the past decade. On Veterans Day, Friday, Nov. 11, campus and community volunteers at more than 170 college and universities across the nation will spend eight hours reading the names of the 6,200-plus casualties of Operation Enduring Freedom and Operation Iraqi Freedom, now called Operation New Dawn. The reading of the names will take nearly eight hours to complete as readers announce the names in chronological order. Each GCC campus (both at Locust Grove and Fredericksburg) participating in Remembrance Day National Roll Call will organize its own full day of reading of names. At the two Germanna campuses, the readings will begin at 8:45 a.m.
Philanthropist Rose Bente’ Lee Ostapenko is met by current Germanna Community College President David A. Sam (right) and former GCC President Frank Turnage today upon arrival for a visit to the Daniel Technology Center in Culpeper. Germanna Community College honored philanthropist Rose Bente’ Lee Ostapenko Thursday by inducting her into the “President’s Circle” for cumulative, lifetime giving. She has donated over $1 million to the college, and was one of the benefactors who made construction of the Joseph R. Daniel Technology Center possible through her donation of land, along with Kaye and Marie Andrus, Nicholas and Flora Tomasetti, and Philip and Susan DeSiato. Current Germanna President David A. Sam, former GCC President Frank Turnage, Daniel Center Director Russell James, GCC Educational Foundation member Connie Kincheloe and Foundation Director Michael A. Catell gave her a tour of the facility, built in 2006. The 39,000 square foot facility is designed primarily for workforce development instruction and technology training. A wide variety of credit classes are also offered. “Your generosity made this possible,” Dr. Sam said in thanking Mrs. Ostapenko, an Arlington resident. “The college would not have been able to grow and help all these people without you.” He told her GCC, which has been one of the fastest-growing schools in the country in recent years, will serve 15,000 students, all of them local, during this academic year. Her 2000 autobiography is entitled “Rose Bente’ Lee: An American Dream.” It tells the story of her immigration to the U.S. from Germany in 1939 and how, over time, she built one of Washington, D.C.’s most successful businesses, The House of Fine Fabrics. She is the first of a series of donors who are to receive GCC President’s Circle recognition. Germanna Community College has joined a nationwide grass-roots effort to honor American service men and women who paid the ultimate sacrifice in Iraq and Afghanistan during the past decade. For information about the Germanna roll call, and to volunteer to be a reader, Kathryn A. Denner at 540/423-9123.